After all of the indecision (Part 1) and the fixie shenanigans (Part 2) I threw all of the original plans out and went back to the drawing board. While I was trying to sort of the ebay fixie, I managed to get a few mountain rides in and decisied that, having also seen the Cyclocross World Cup in Milton Keynes, I really did want to give ‘cross a chance. 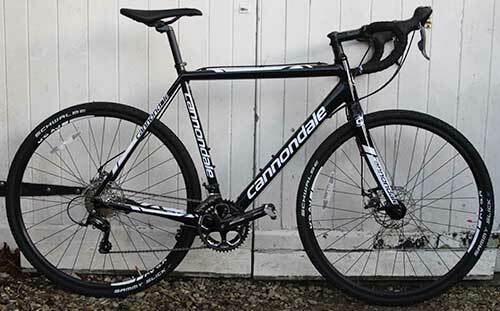 So the day after after Boxing Day I put my order in for a Cannondale CAADX Sora Disc – I plumped for the Sora option, rather than Tiagra or 105, initially on costs, but also because I see the CAADX having some interesting upgrade options in 2015. 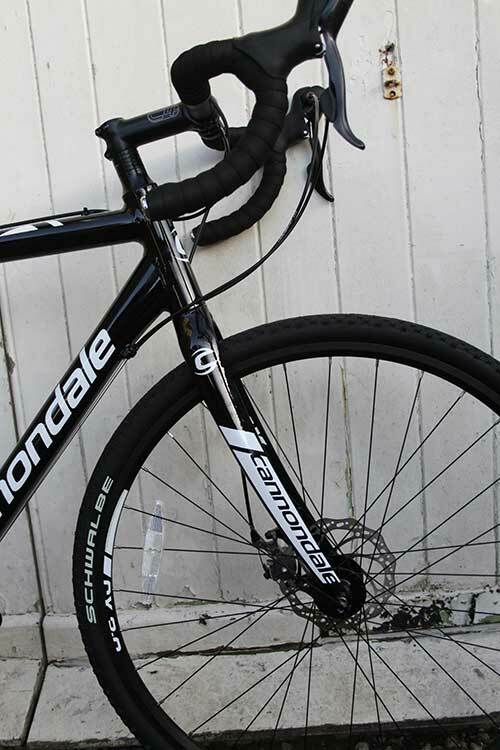 The bike arrived last Friday 2nd January and had it’s first spin in ideal weather on Saturday… when I say ‘ideal’, we’re talking ‘cross weather. It was good steady rain and I kept off the main roads, so it got a chance to show it’s mettle on the by-way that is the Fosse and the muddy back roads near Malmesbury. 30kms later I had had one of the best solo rides of 2014. Suffice to say I’m hooked. I’ll get a more detailed update on the CAADX on line shortly. Note – The latest Shimano Sora group set is stunning value. It’s ditched those old thumb-shifters and the gear-change action is now the same as on my Ultegra 6800 on the Sempre. Again more details to follow. Update 13th Jan – See this post for more details on the Sora groupset impressions. Next PostGeorge Hincapie’s The Loyal Lieutenant – Foreword by Armstrong!